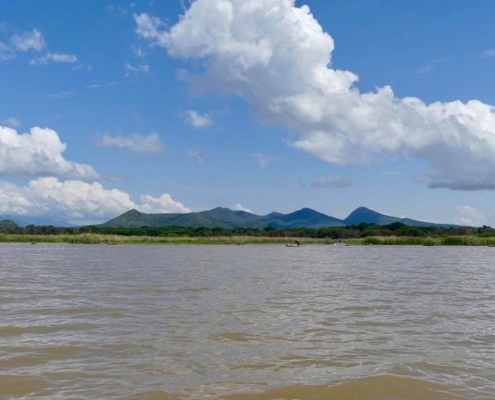 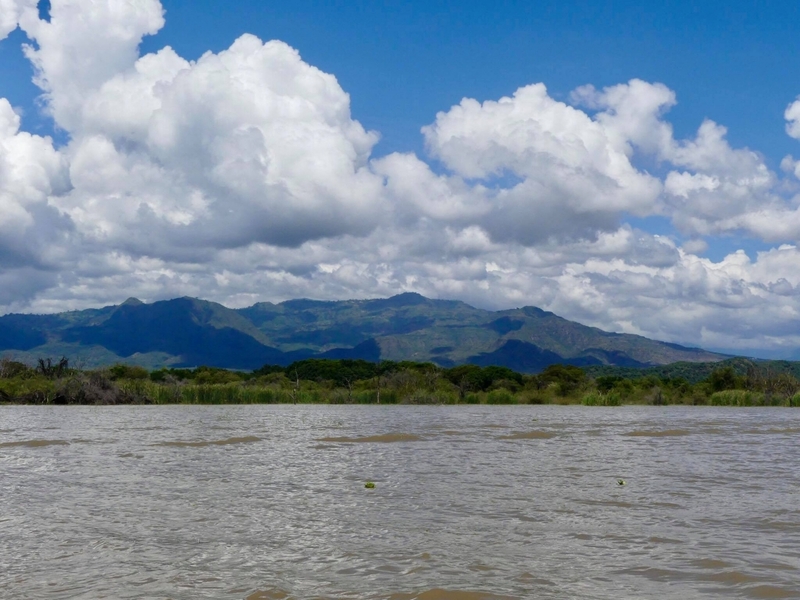 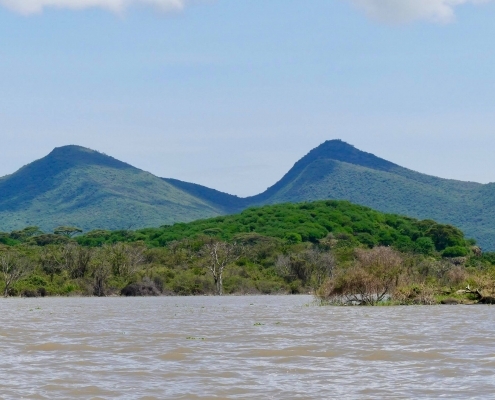 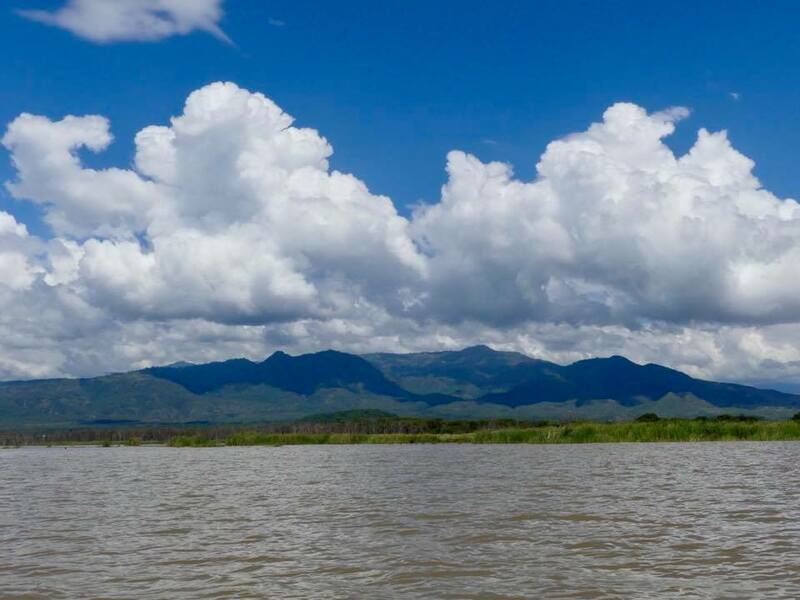 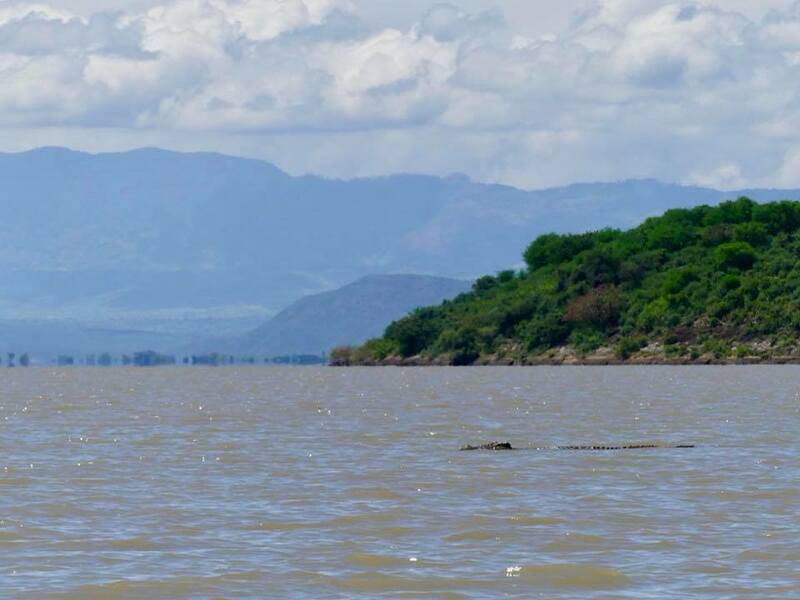 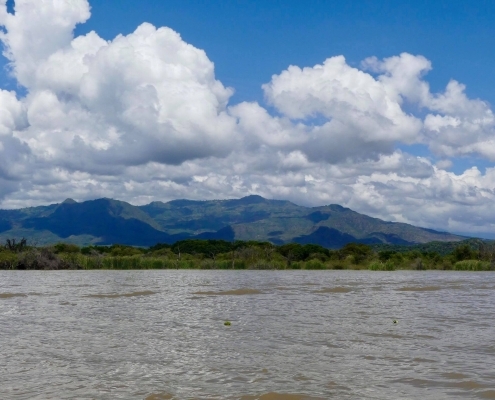 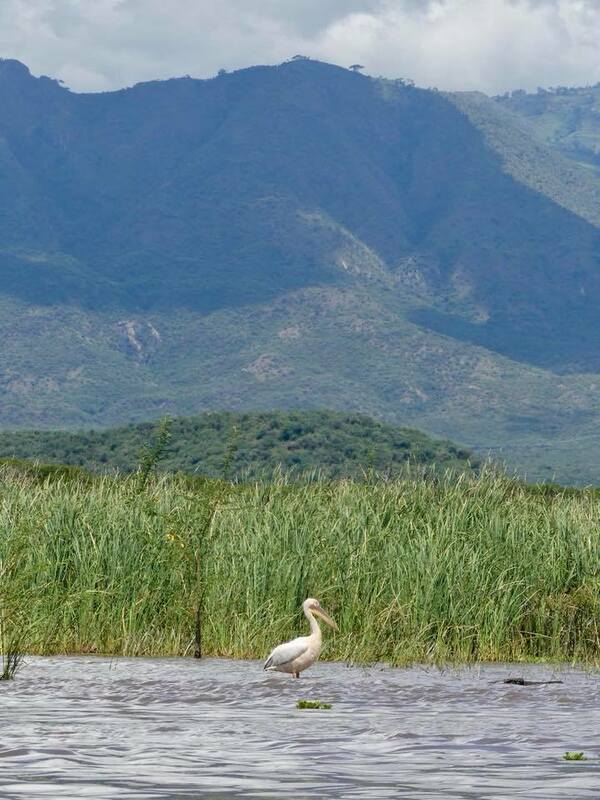 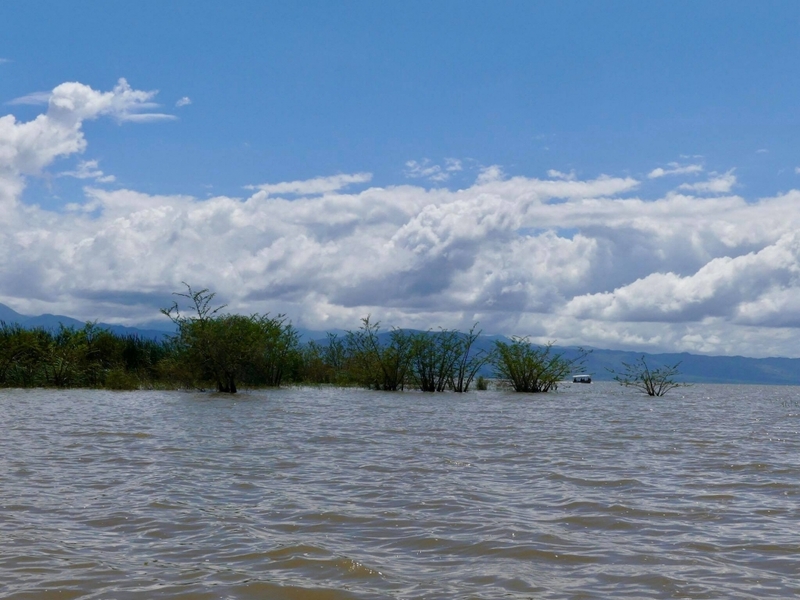 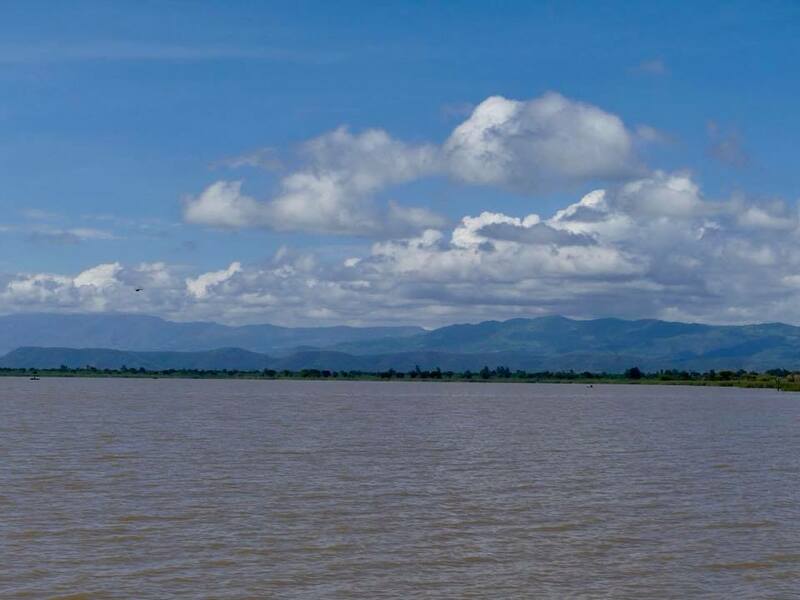 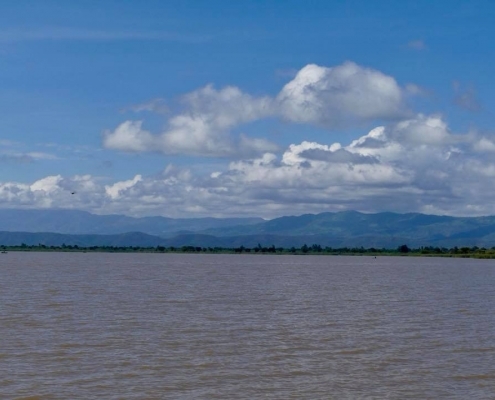 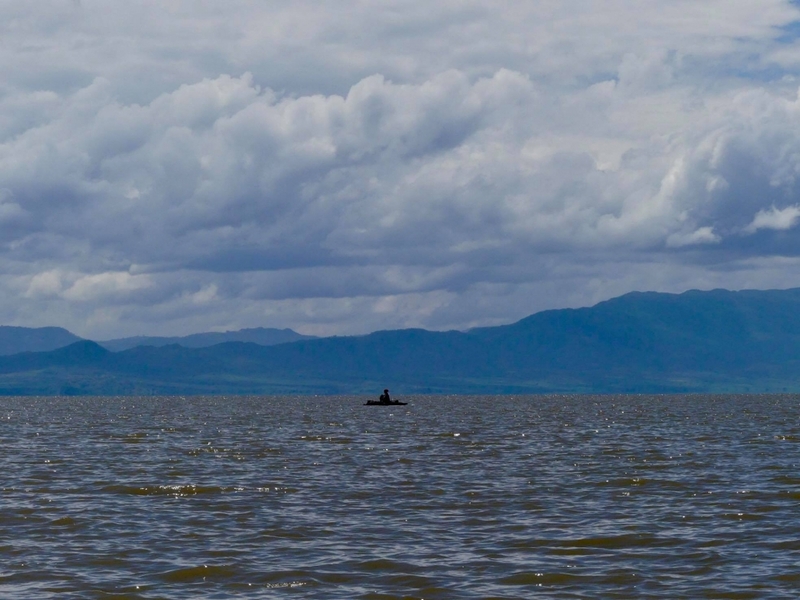 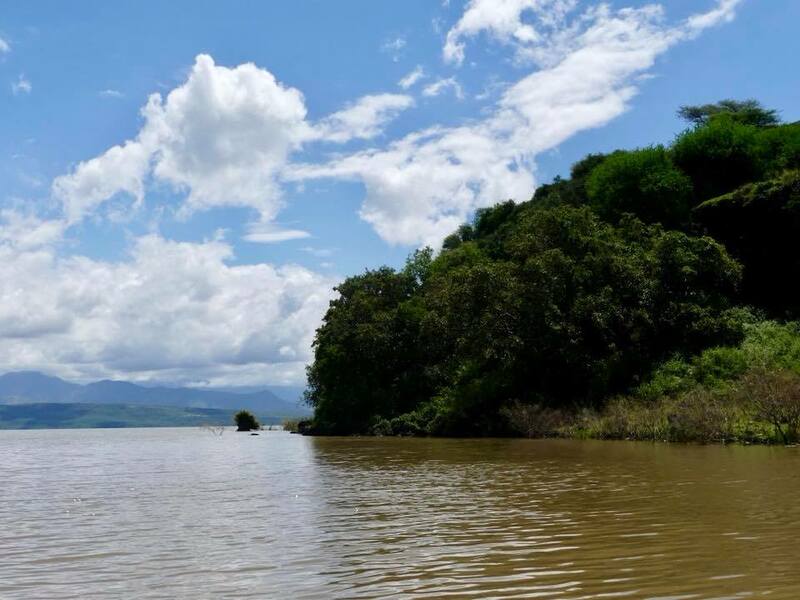 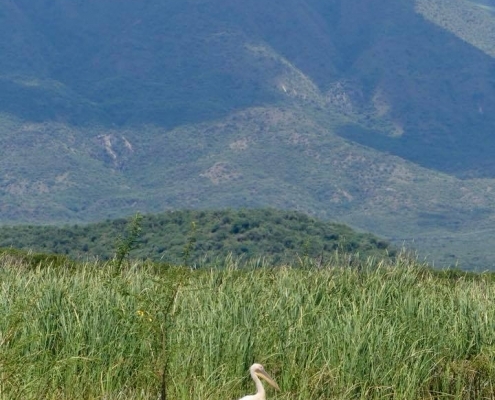 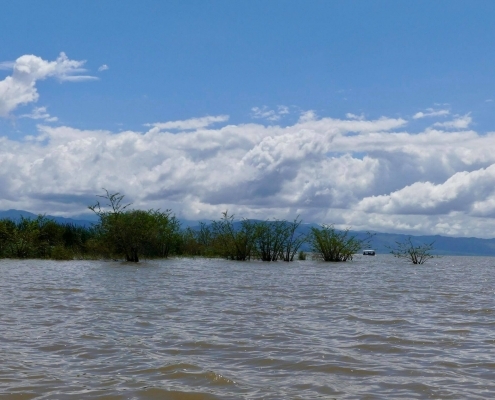 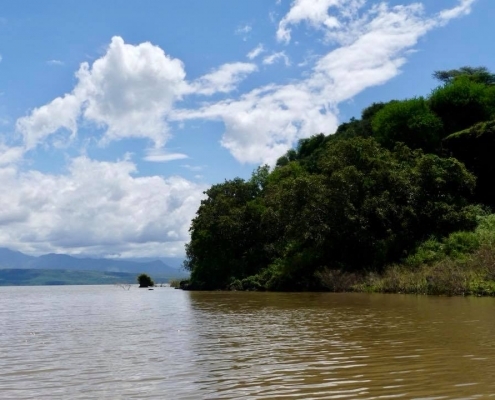 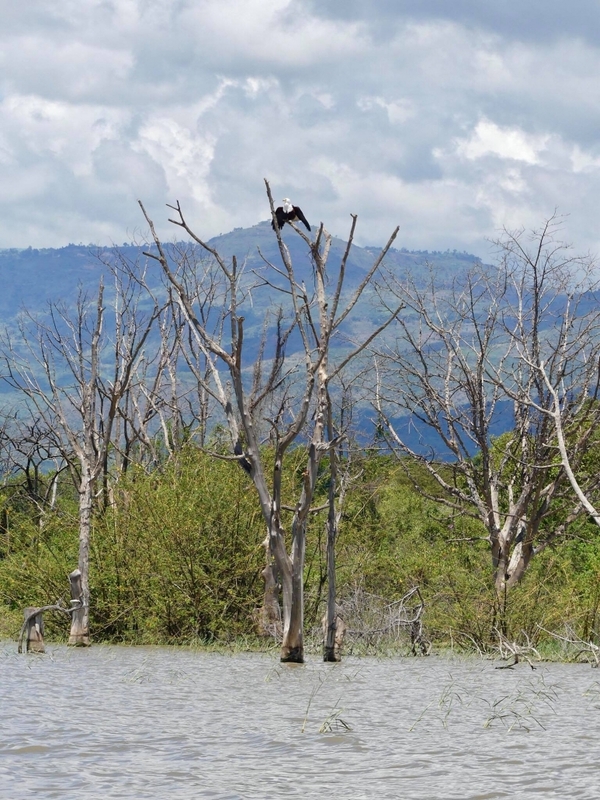 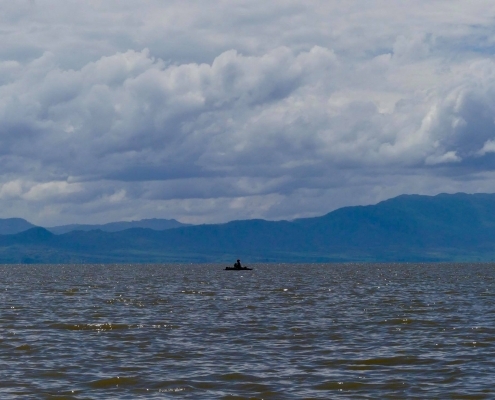 Lake Chamo is one of the largest Rift Valley lakes in Africa and, surrounded by beautiful mountains, looks quite scenic. 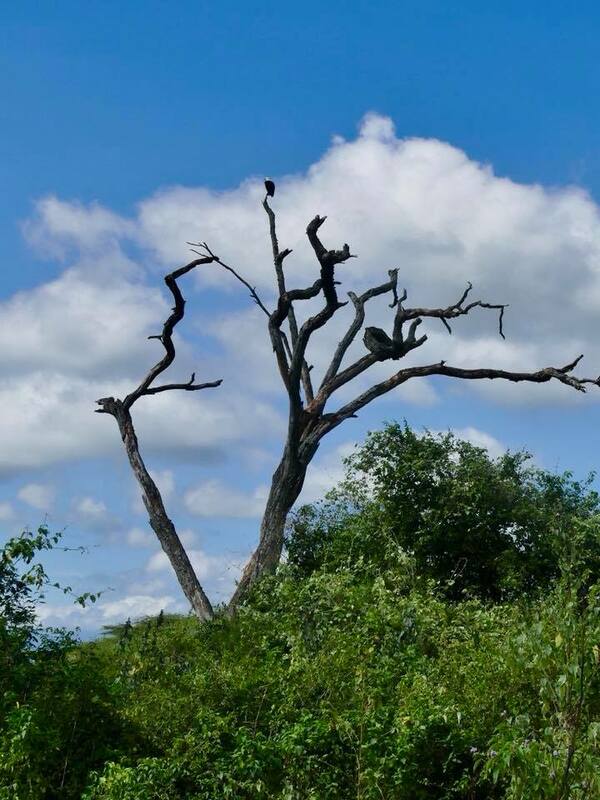 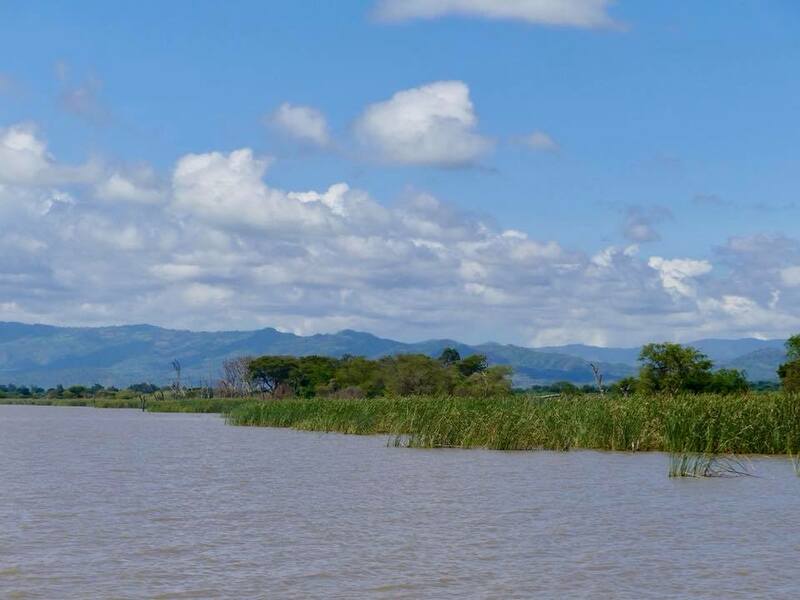 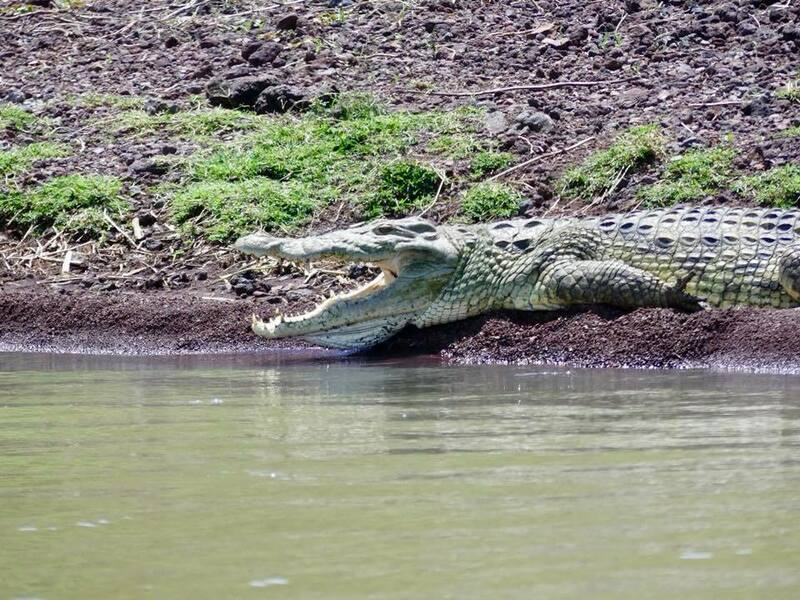 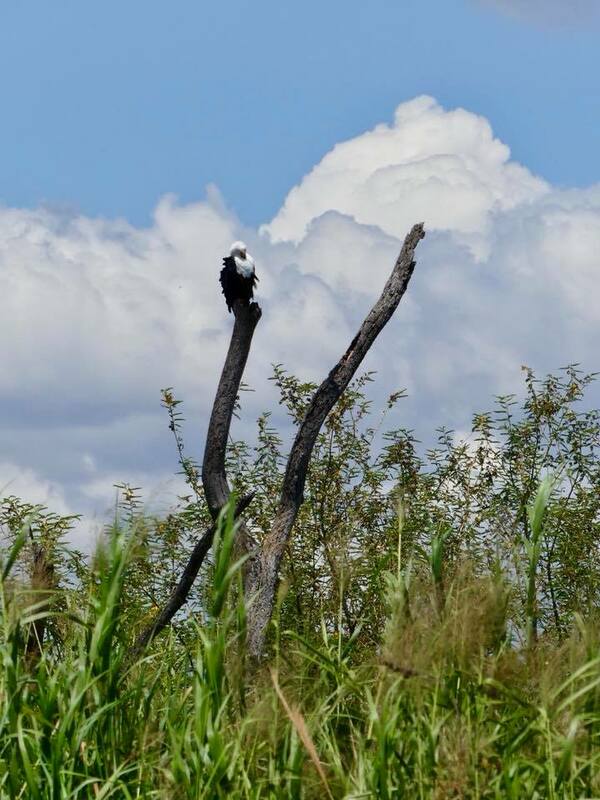 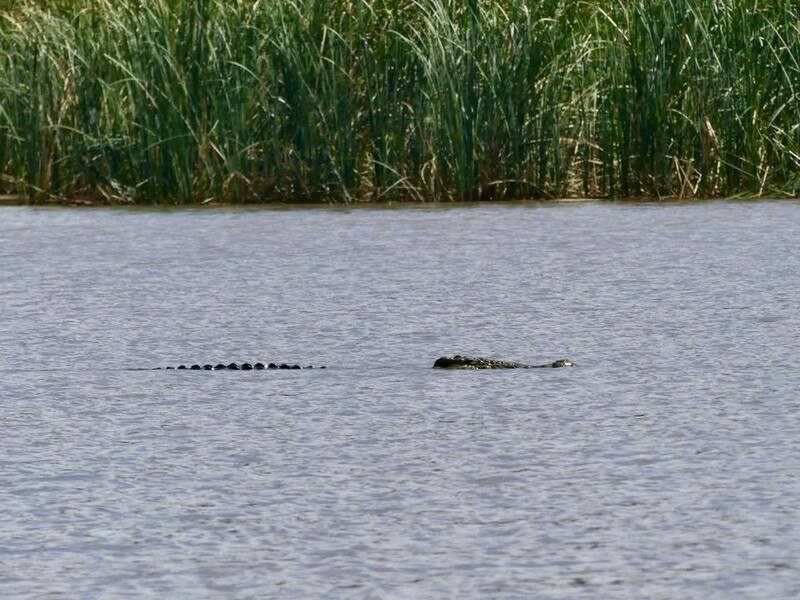 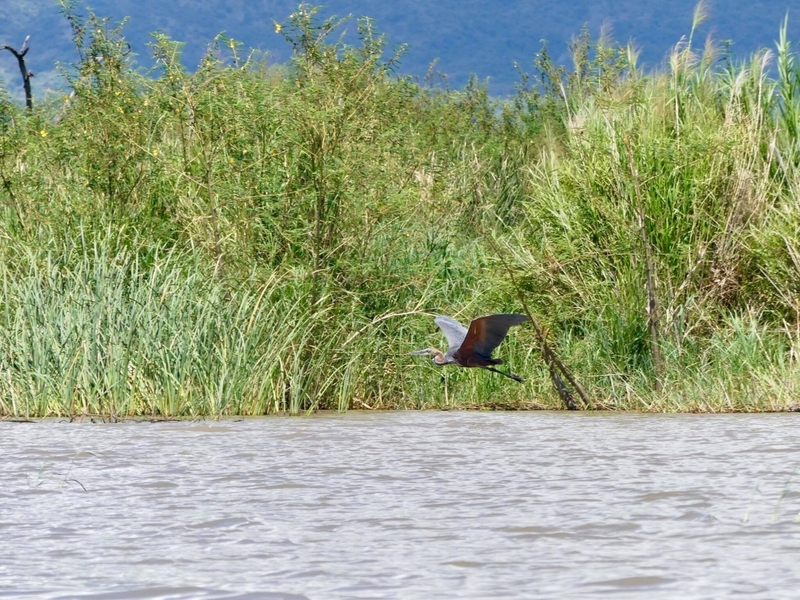 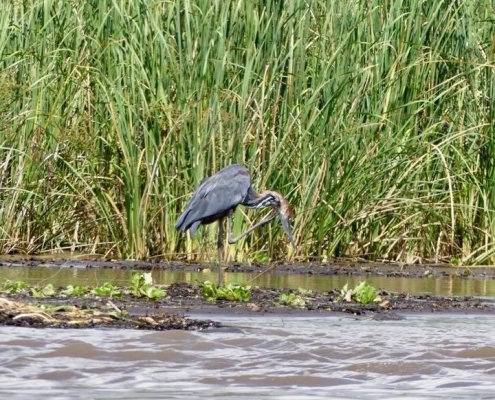 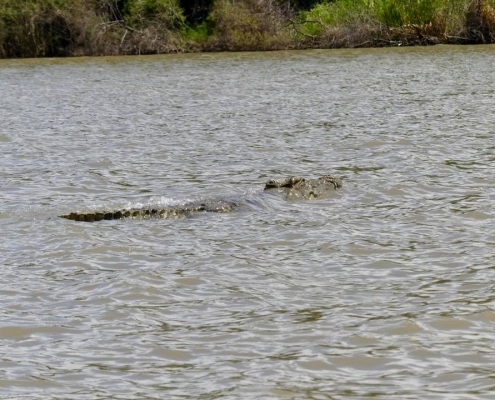 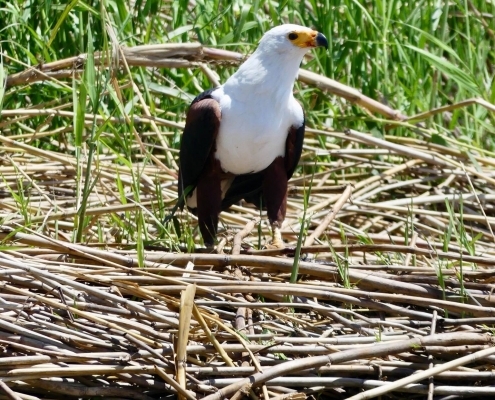 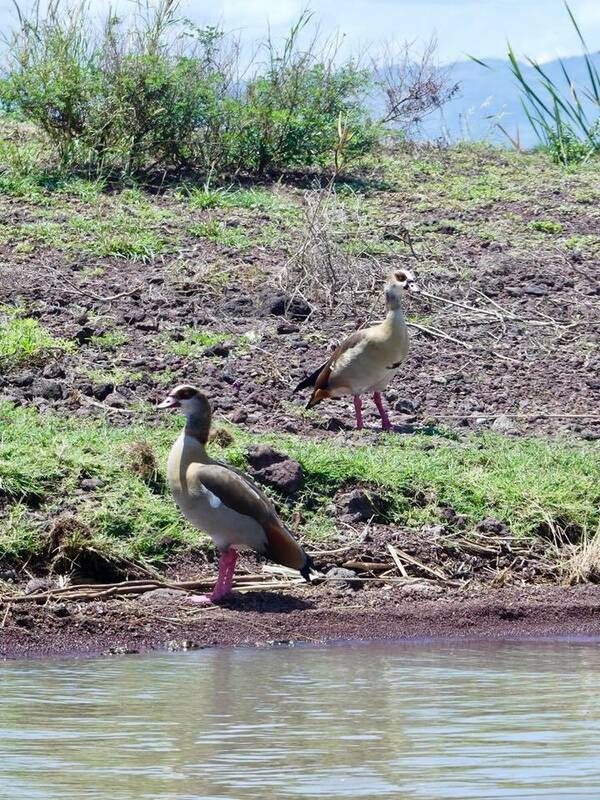 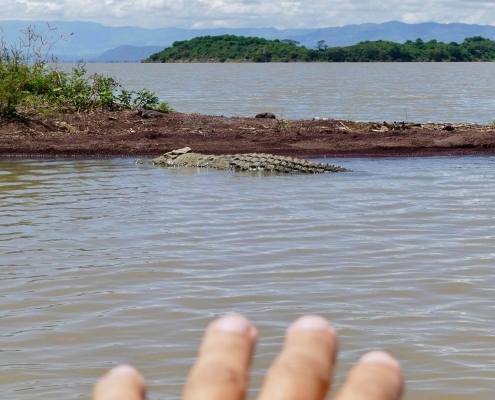 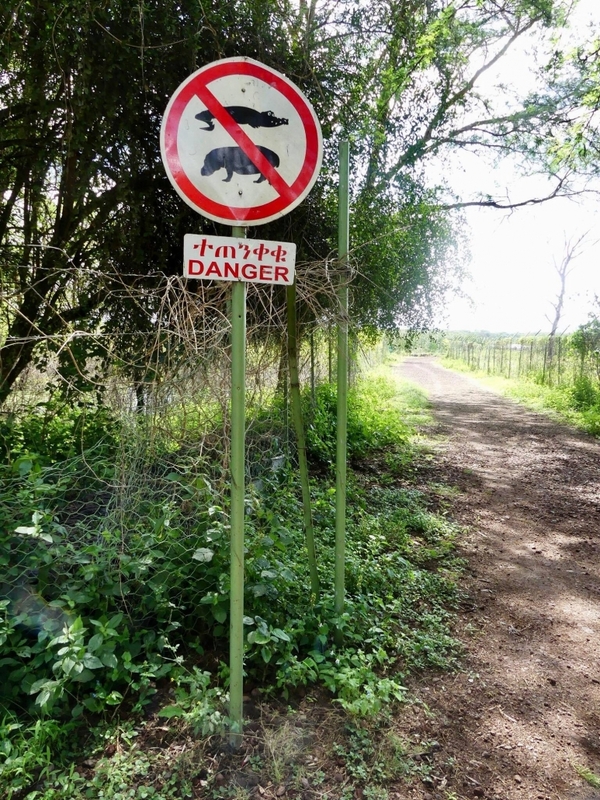 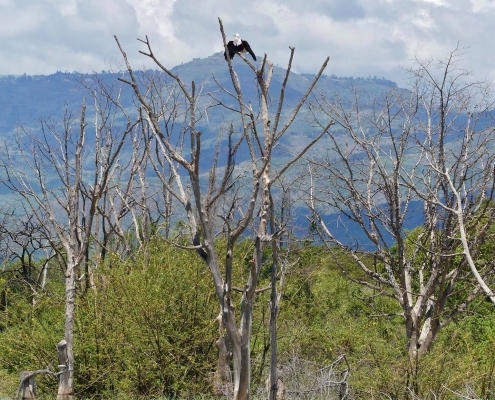 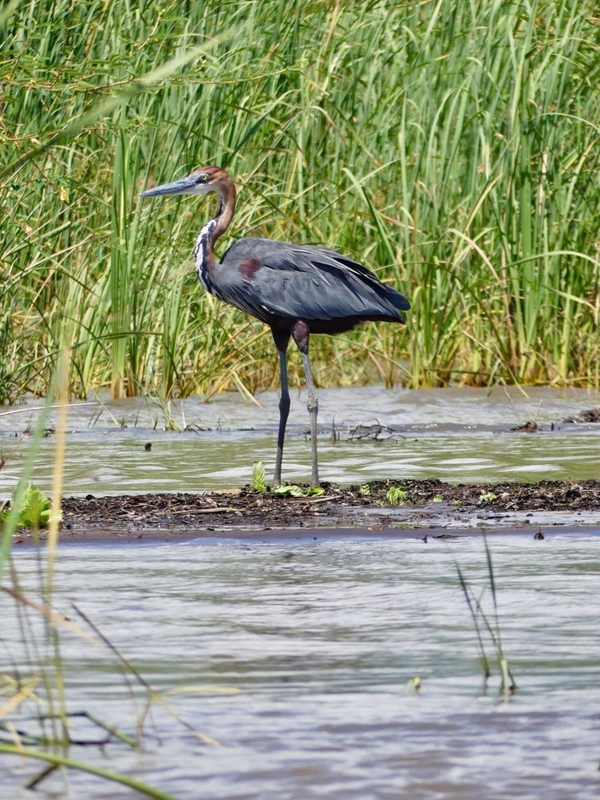 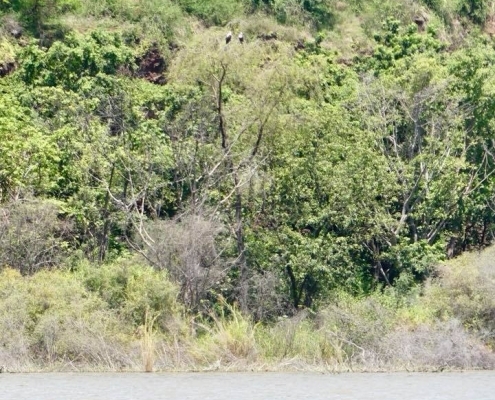 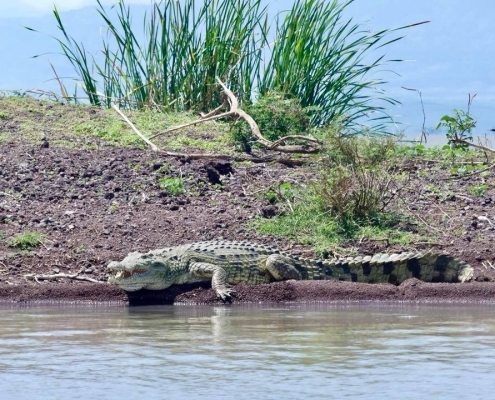 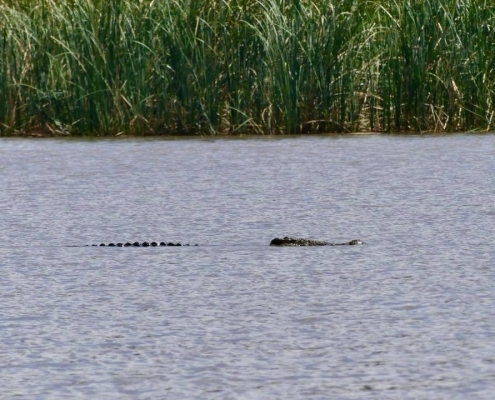 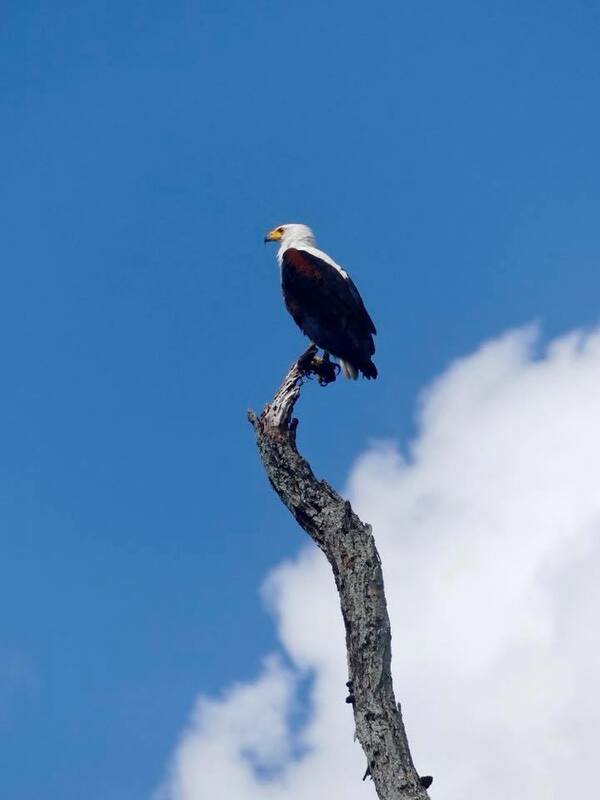 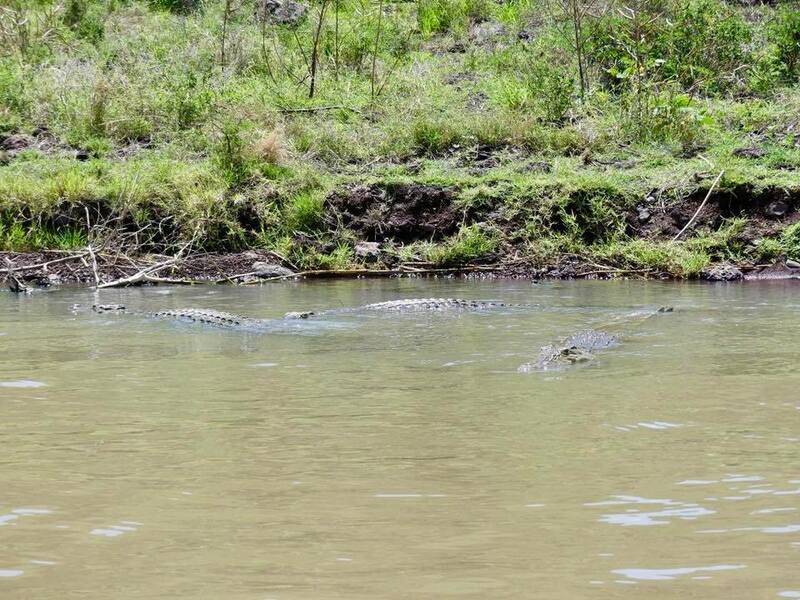 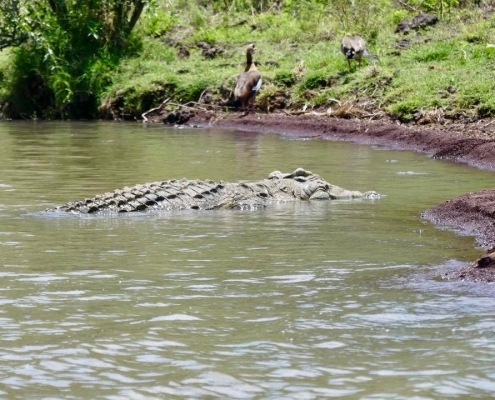 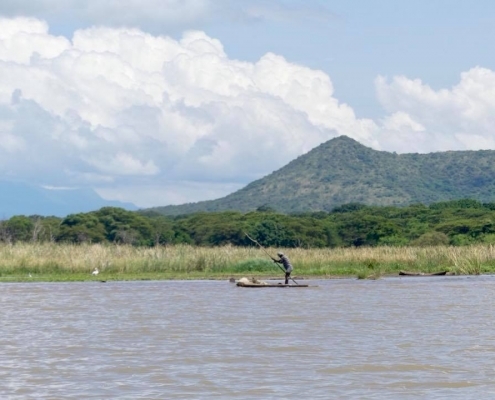 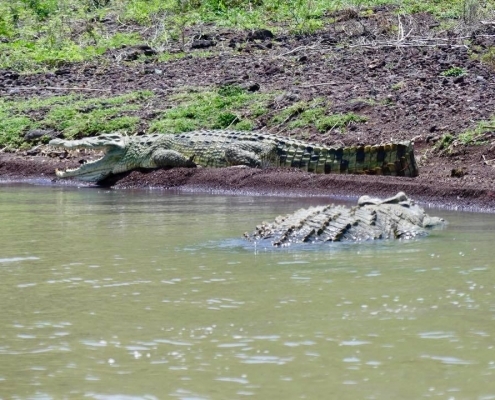 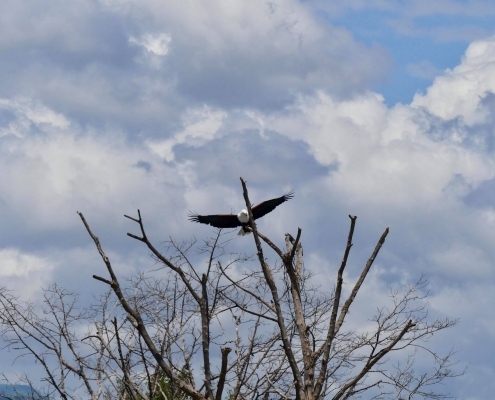 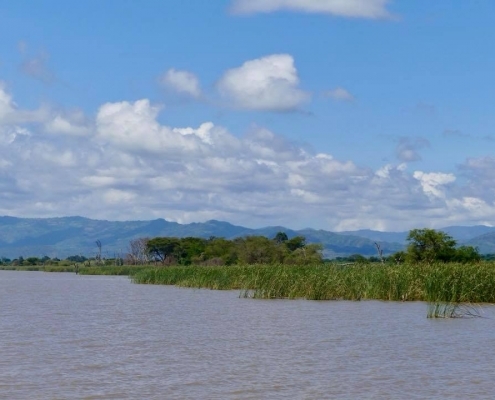 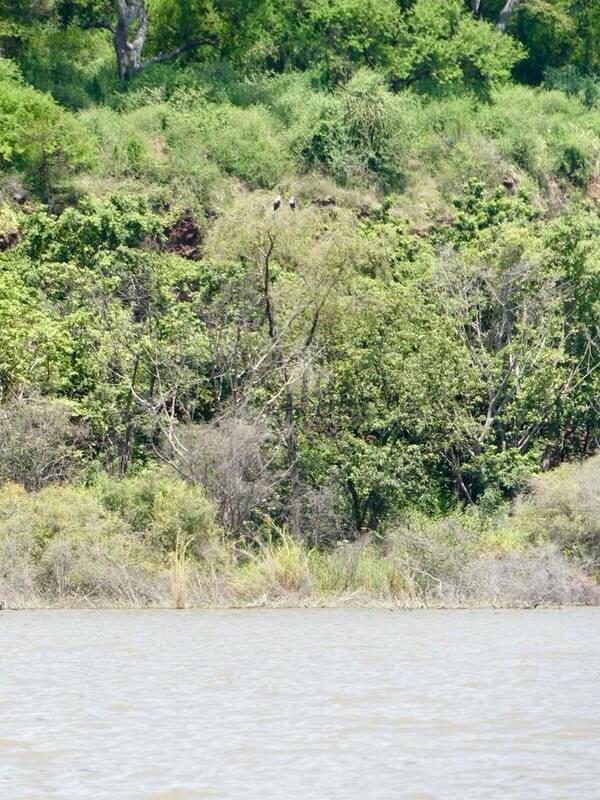 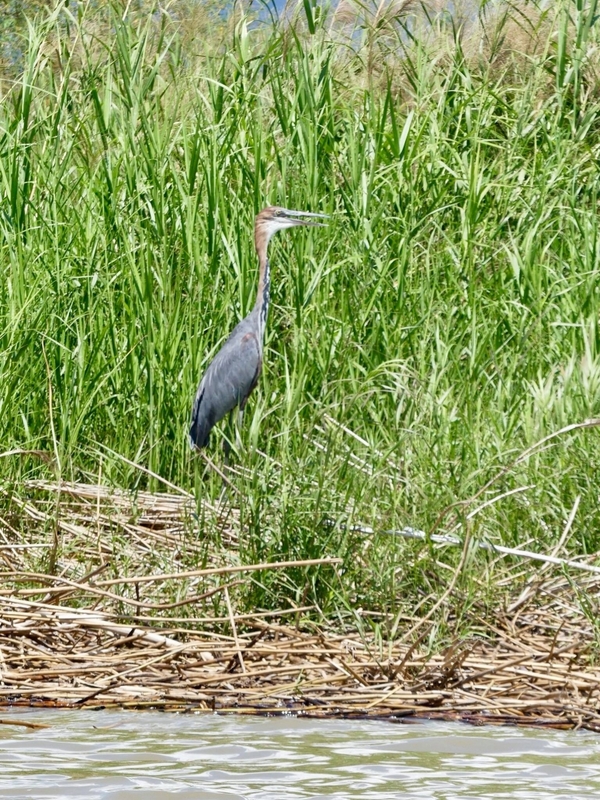 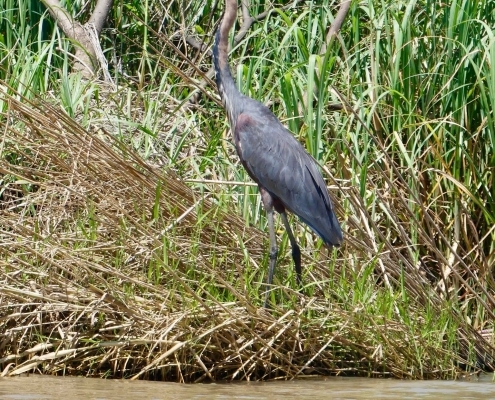 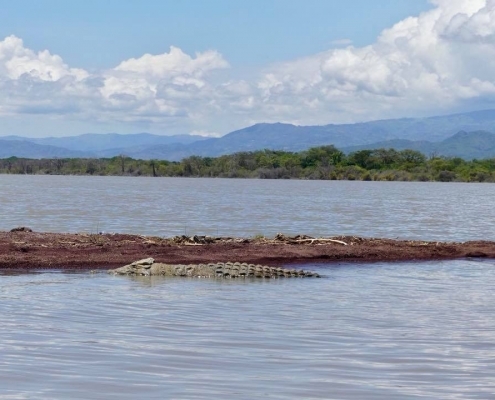 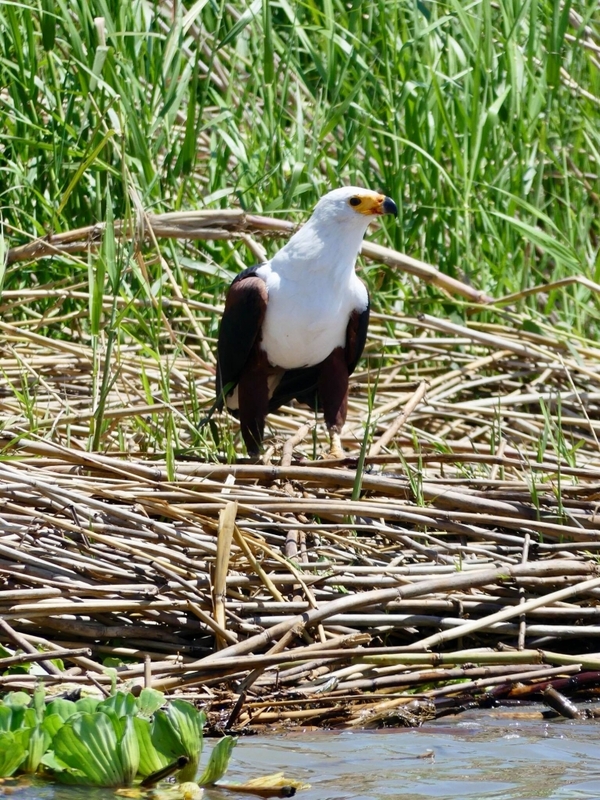 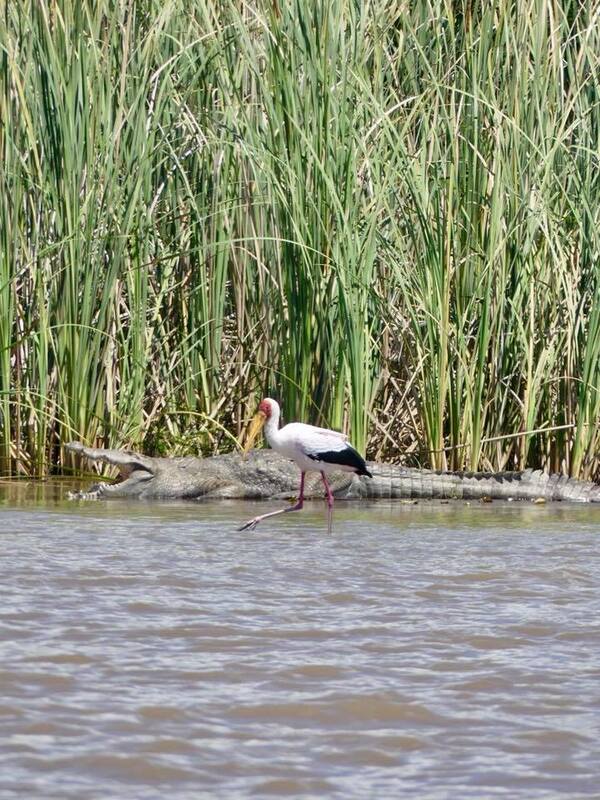 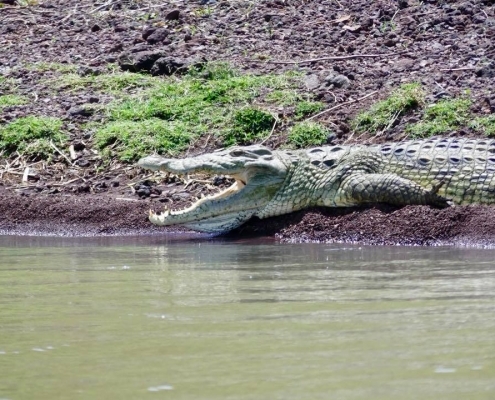 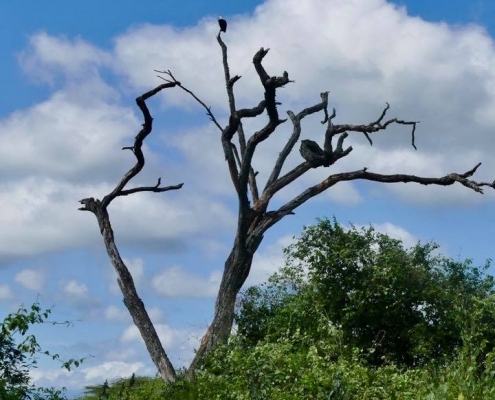 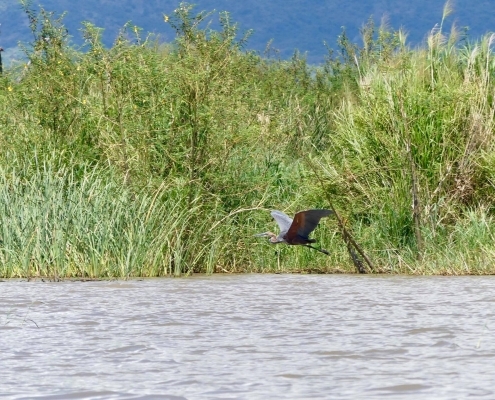 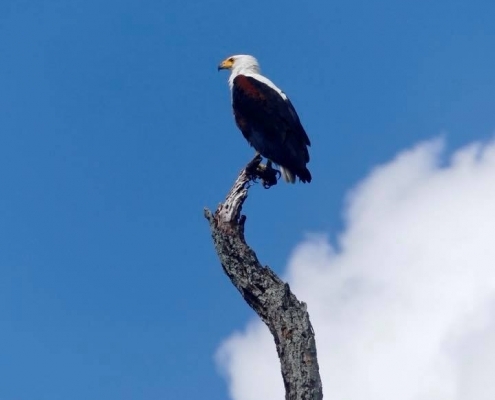 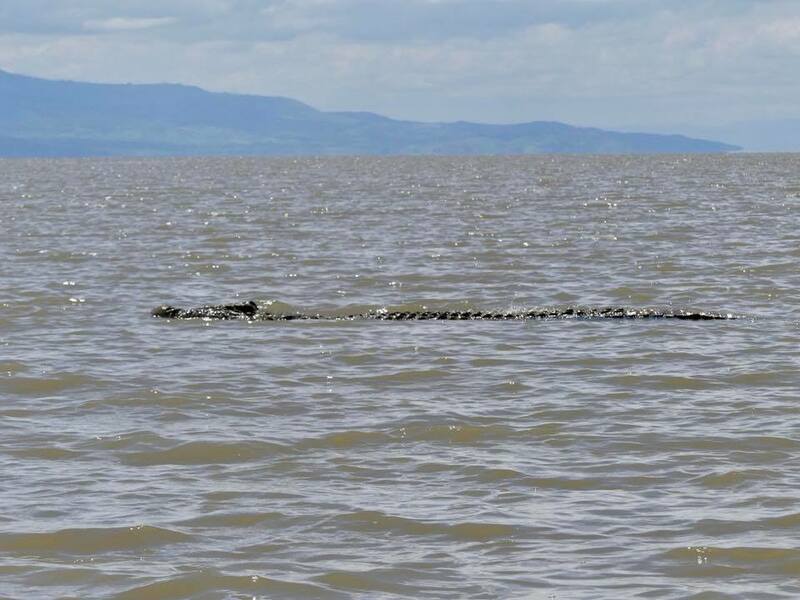 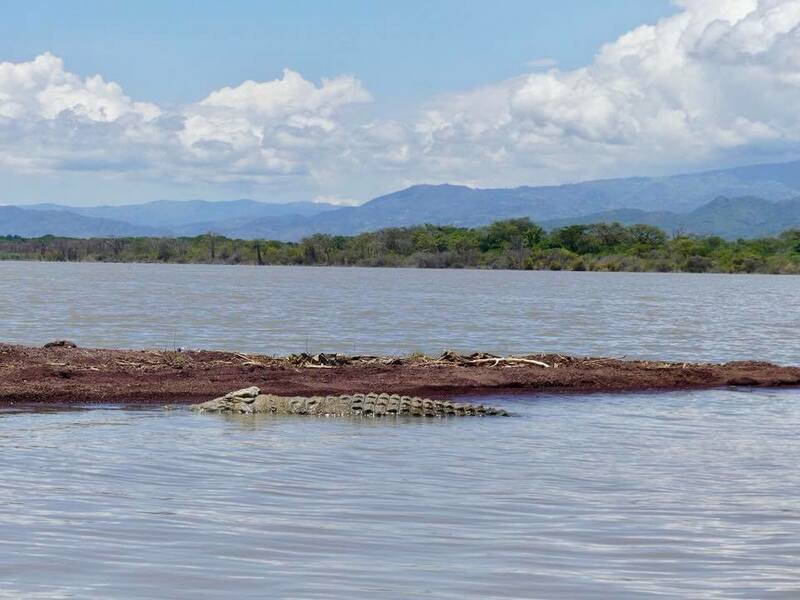 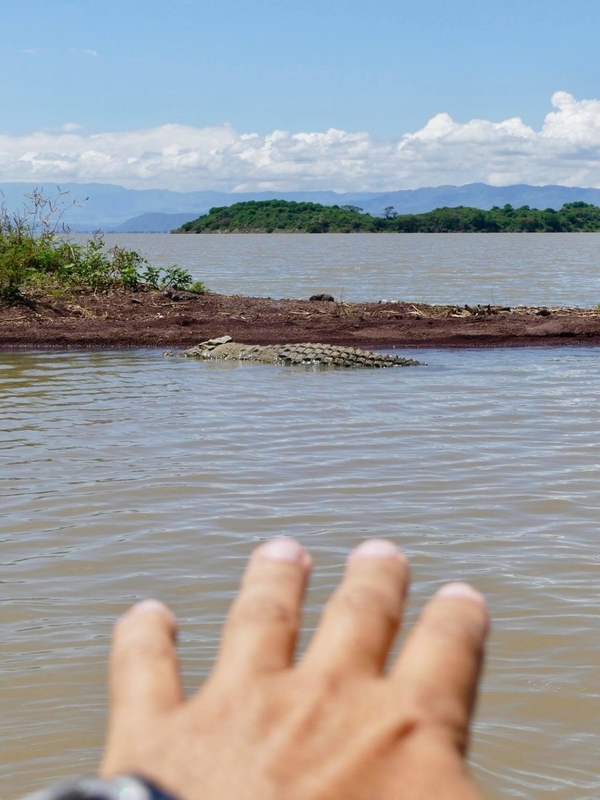 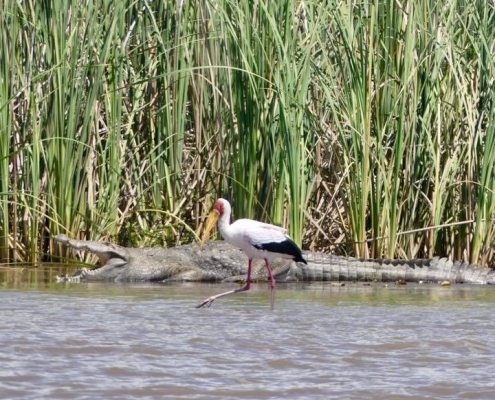 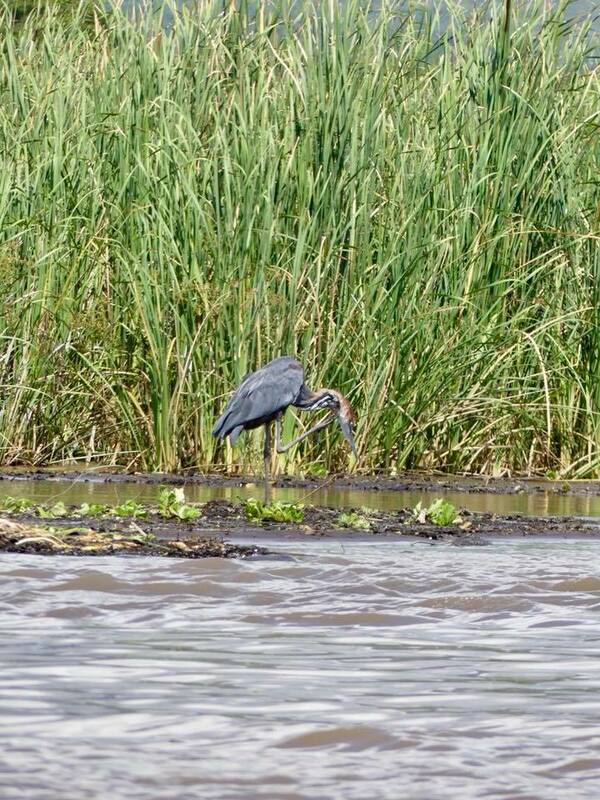 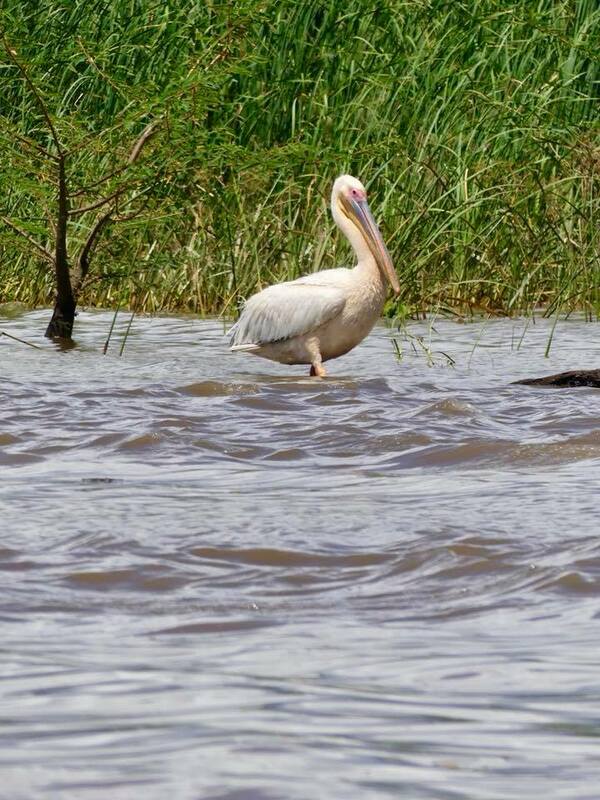 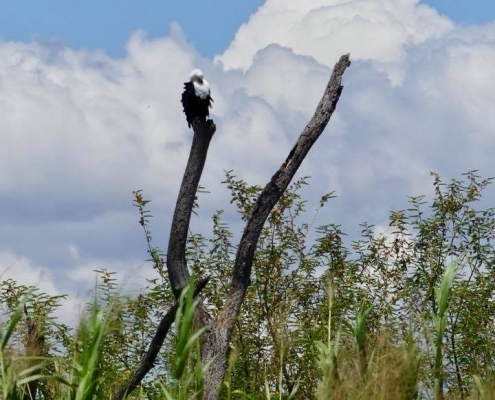 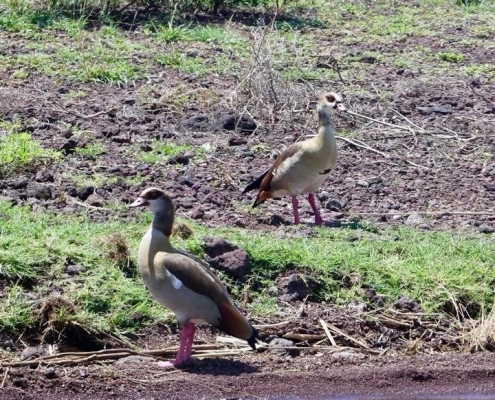 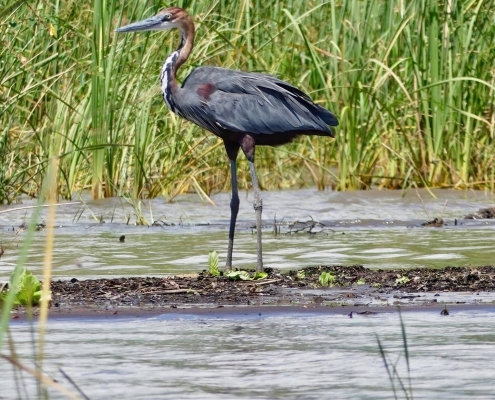 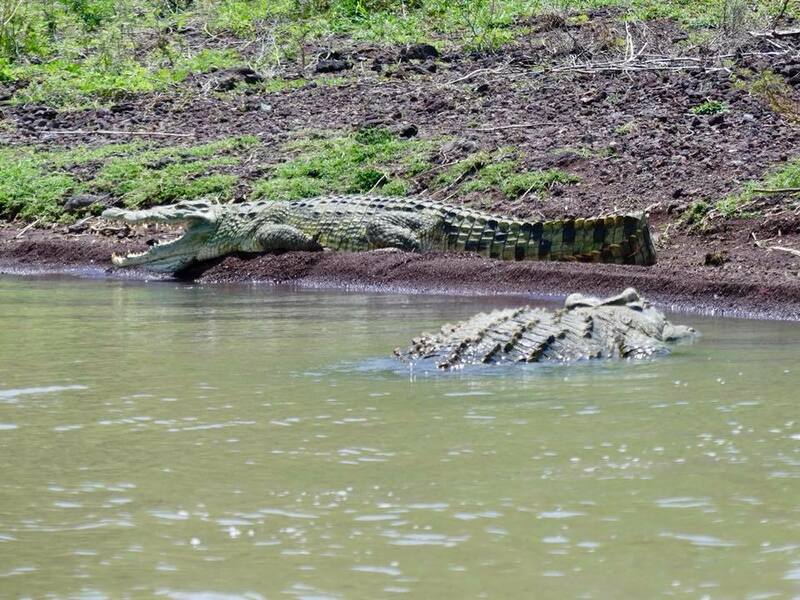 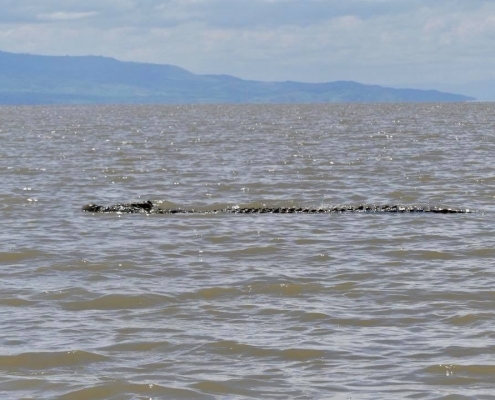 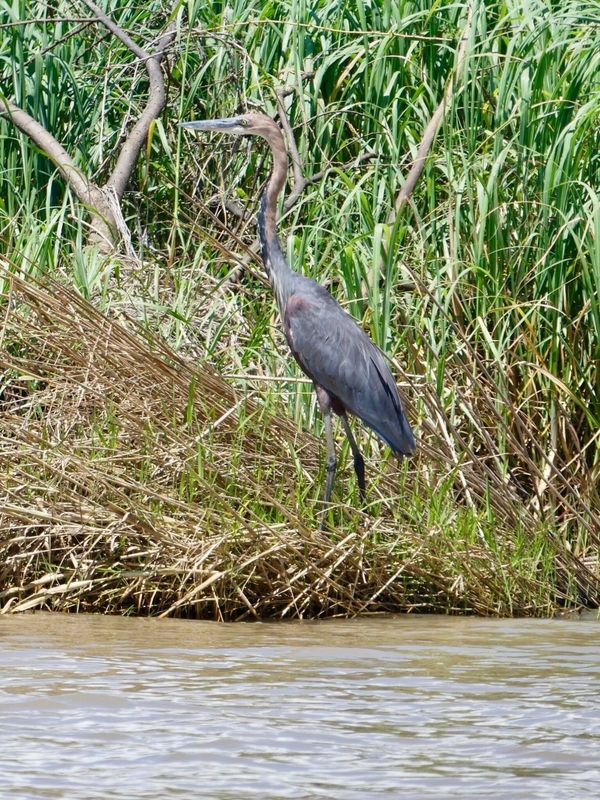 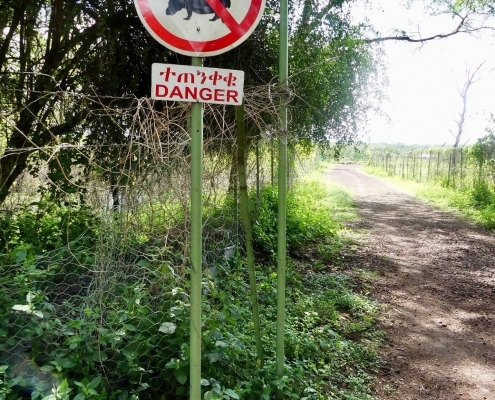 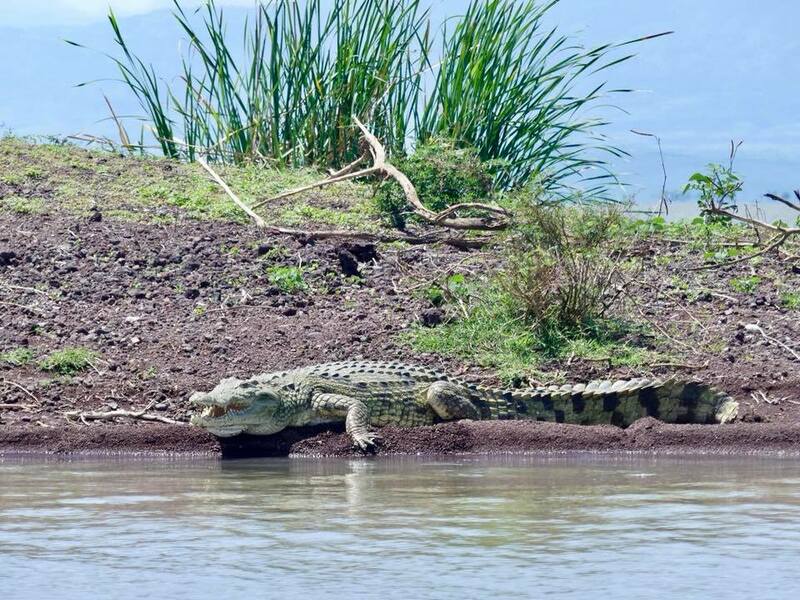 The lake and lands around it are part of a national park, protecting the wildlife and flora – there are a lot of birds along the lake shores, hippos in the water, and some of the largest Nike crocodiles you could see in Africa. 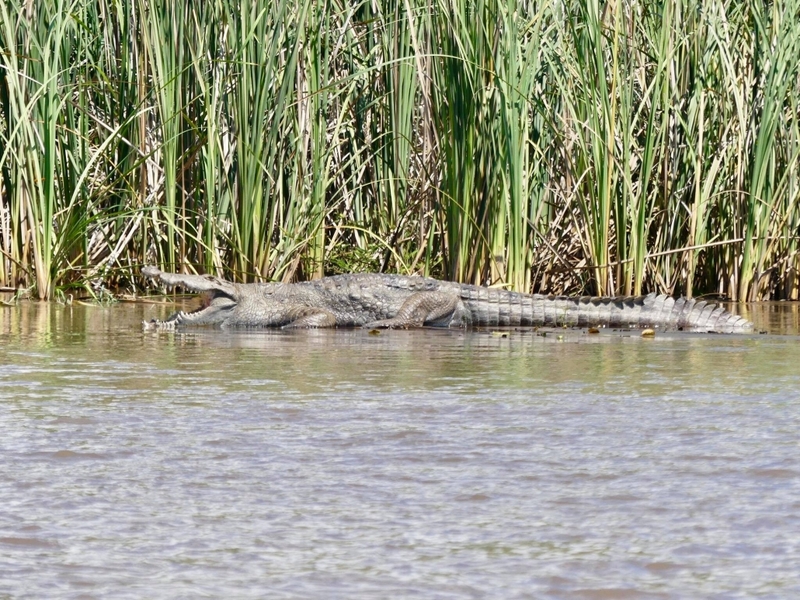 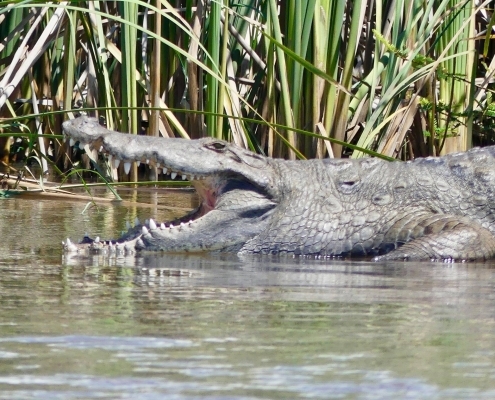 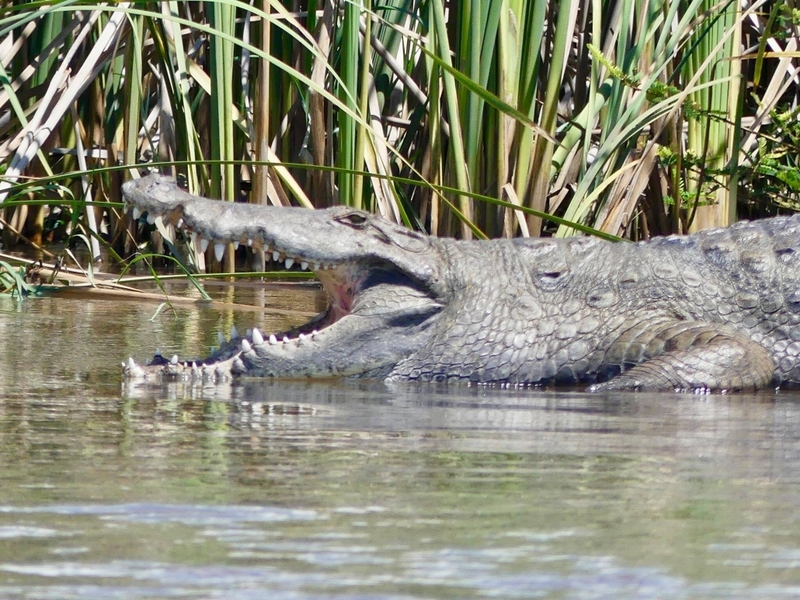 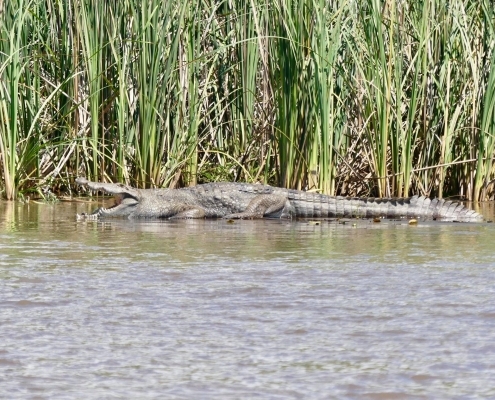 Cruising along the lake shores, I probably saw close to a dozen crocs, either swimming in the lake or just lying on the beaches with massive snouts open wide exposing huge teeth. 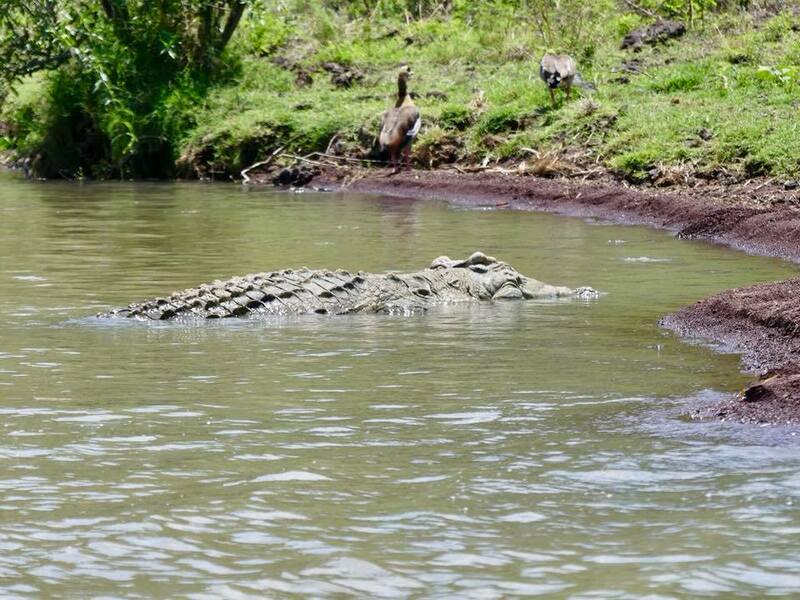 Crocodiles don’t have sweat glands and when overheated they release heat and equalize temperature by opening their mouths. 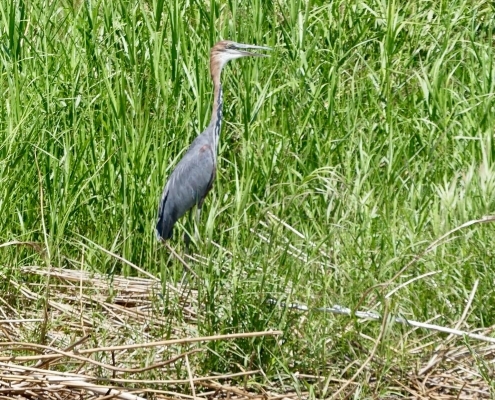 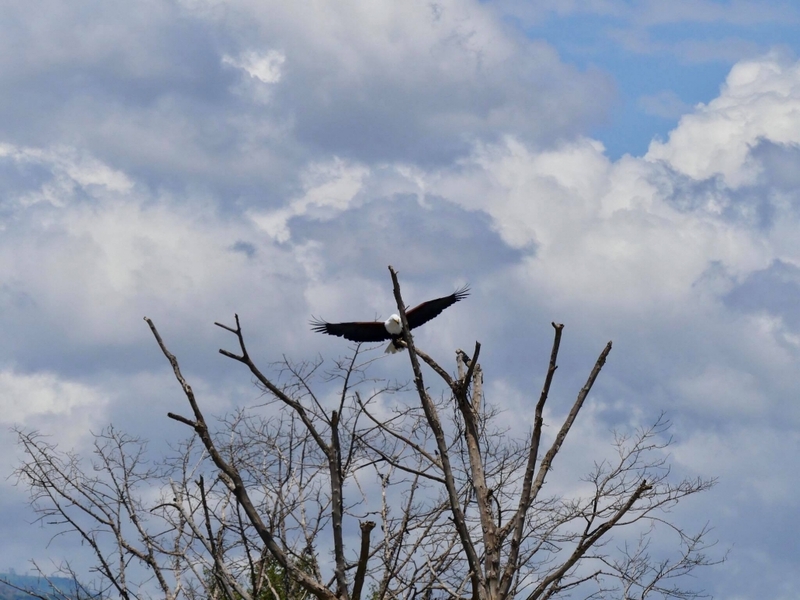 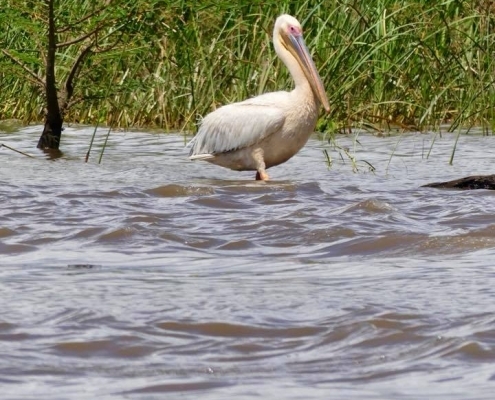 Storms and pelicans just walk in by in front of the crocs – either brace or suicidal or both.